Now that the college football season is behind us, it’s time for sports fans to turn their attention to college basketball. Conference play has fully begun across the country and (believe it or not) March Madness is just a couple months away. Already this season has produced a number of compelling storylines and the table is being set nicely for a very compelling tournament once we reach March. If you’re one of those fans who’s just coming around to check out the Top-25 rankings and conference standings and bubble watches, we’re here to catch you up with what we’ve learned so far through the 2018-2019 college basketball season. At any point in the last… give or take 125 years… this would have seemed absolutely crazy. But given that Michigan football hasn’t won a Big Ten title since 2004 and Michigan basketball has two in the last two seasons. When you add two championship game appearances since 2013, maybe it’s time to consider that Michigan being a “basketball school” isn’t just a joke said by Ohio State fans to jab their rivals over the state of the football program. John Beilein has built the Wolverines into a winning program that’s playing at consistently higher and higher levels. Currently ranked second in the country at 17-0, Michigan will likely rise to #1 after Duke’s loss against Syracuse if they can get by Wisconsin this weekend. Beilein has had a lot of great teams in his Michigan tenure, but this may be the strongest yet in spite of losing multiple players to the NBA in the past few seasons. Michigan ranks third in scoring defense in the country and has double-digit wins over Villanova, North Carolina, and Indiana. Given the strength and depth of the Big Ten, an undefeated season is not really realistic (especially with a mouth-watering home and home against Michigan State). However, a #1 seed and another trip to the Final Four definitely seem to be on the table once again. You have to go back a long time, maybe even to the days of Greg Oden and Kevin Durant, to find a college freshman hyped as much as Zion Williamson. The most important thing for Zion so far this year is the proof that he’s got the game to back it up and he’s not just a YouTube dunk package. The YouTube dunk highlights are still pretty cool, though. Williamson is averaging 21 and 9 so far this season, and has even showed a bit of touch from deep in recent games, going 3-of-5 from downtown against Wake Forest. Even though Duke lost at home to Syracuse, Williamson was a monster scoring 35 points. The performance was enough to get Jim Boeheim to draw a flattering comparison to one of the all-time greats. Regardless of what happens between now and March, Duke will be the favorite in March because of Williamson (and RJ Barrett and Cam Reddish). And whatever happens then, Williamson will be the #1 pick in the NBA Draft in June. 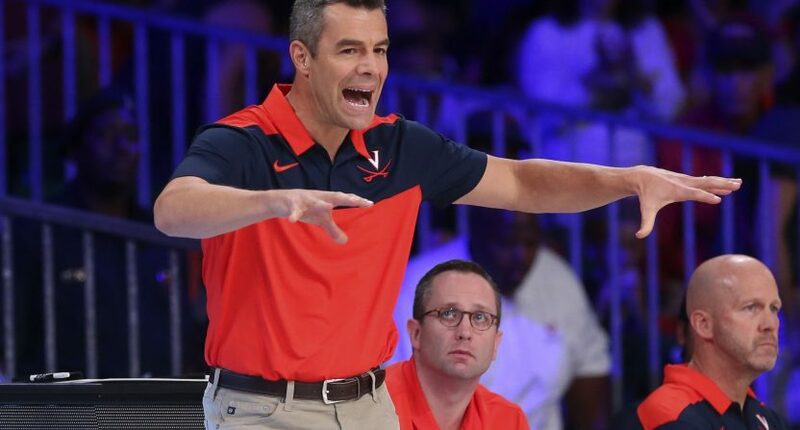 Virginia will have a great record and a great shot at at least a top-two seed come March. That much is certain. But given the inflexibility of their style, their season will ultimately be judged on whether or not they can put the demons of last year fully behind them come March. Could this finally be the year that a mid-major doesn’t just make the Final Four as a nice story, but wins it all? Given the strength of top programs like Duke, Michigan, and Virginia, it’s going to be awfully tough this year. However, this may be the strongest year of mid-major programs from November to March in recent memory. Perhaps it’s not fair to use the “mid-major” label on Gonzaga anymore, but the Bulldogs already have a huge neutral court win over Duke in the finals of the Maui Invitational and look like they’re in contention for a #1 seed out west in the tournament. The Zags lead the nation in scoring at just over 92 points per game and have been a fixture in the Top-5 all season. It’s not just Gonzaga, though. Nevada, led by Cody and Caleb Martin, has been in the Top-10 much of the season and will look to go beyond last year’s Sweet 16 berth. Buffalo is another program who’s building on last season’s tournament victory over Arizona with their best ever campaign, currently sitting at 16th in the rankings. Beyond those three top teams, you never know when another Loyola-Chicago might spring a March Madness surprise. At the other end of the spectrum lies the Pac-12, which may be in the midst of the worst season ever by a major college conference. Joe Lunardi’s current projection has just two teams making the field of 68- Arizona as an 11-seed and Washington as a 10-seed. Just how bad has the Pac-12 been? They only won 21% of their games against other major conference opponents and even had a losing record against the West Coast Conference in non-conference play. That’s not good! The conference had the worst December in 20 years for a major conference and we’ve already seen UCLA fire Steve Alford after losses to the likes of Liberty and Belmont. Oh well, at least they still have Bill Walton.